Following their triumph against Yousen High, Seirin's basketball team has reached the semifinals of the Winter Cup along with Kaijou, Rakuzan, and Shuutoku. Each of these teams possesses a member of the Generation of Miracles, and Seirin prepares to face the largest obstacles on their path to winning the Winter Cup. 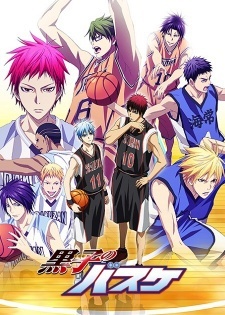 In the final season of Kuroko no Basket, Kuroko goes head-to-head with his old teammates once more as he attempts to show them that individual skill is not the only way to play basketball. His firm belief that his form of basketball, team play, is the right way to play the sport will clash with the talents of a perfect copy and an absolute authority. While Kuroko tries to prove that his basketball is "right," he and the rest of Seirin High ultimately have one goal: to win the Winter Cup and overcome the strength of the Generation of Miracles, who have long dominated the scene of middle and high school basketball. The final confrontation yet not too great.